Proms are one of the final hurrahs for seniors... a chance to get dressed up, go with their date or a group of friends and dance the night away before they graduate and move on to college, full-time job or whatever post-college plans they have. Prom is a chance for more memories. More memories that will last a lifetime. 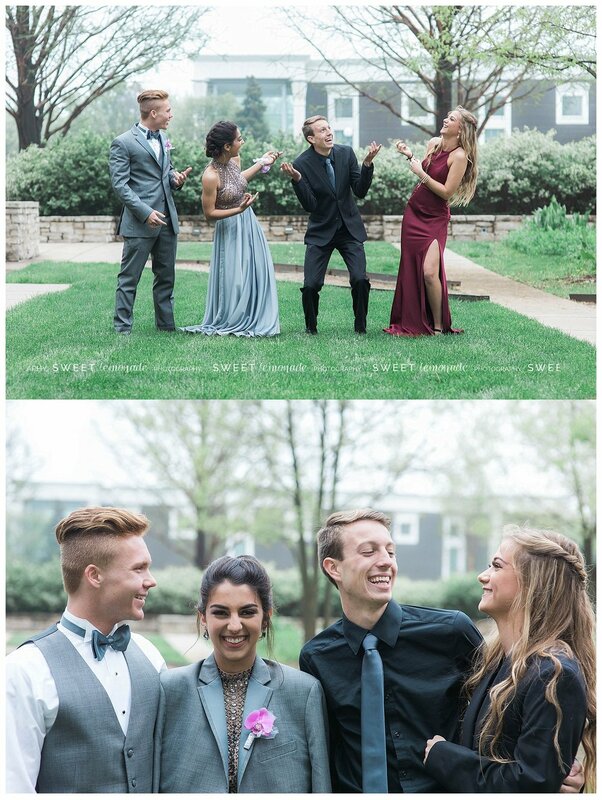 I offered complimentary prom mini sessions for my Mahomet-Seymour High School SLP seniors in April and I was thrilled the schedule worked for a few of my seniors could join me. Because of the potential rain (that let loose shortly after we finished up) we met on the University of Illinois college campus at BIF (Business Instructional Facility). As primarily a natural light photographer if I can't photograph outside, finding an indoor location with lots of natural light is the second best option. And this building with floor to ceiling windows, provides just that. Over the course of the year, from photographing these young adults senior sessions, sporting events, prom, etc I've gotten to know them and feel like they are my own children. I loved being able to ooh and ahh over the fancy dresses the girls chose and was impressed seeing the guys all spiffed up. Morgan, Nick, Samira, Ben, I pray you follow your heart and live every day to its fullest. Morgan's beautiful gown was purchased from Peaches Boutique in Chicago. Keep an eye on their website and you could score your next dress at a huge discount like Morgan did. Watching these 4 friends together made me so happy. May their friendship continue to grow even as they go their separate ways.